This 5-minute preview is from the interview in which Jaacob Bowden hosts Andrew Rice. One of the most famous golf instructors in the world. Why sweeping is important to get backspin on the ball. 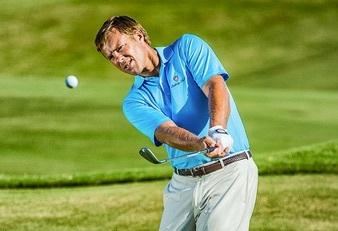 What to do to be more consistent with your drives. Forget divots. Why Nick Faldo didn’t even look up when he hit the flag stick twice in a row, while working with David Leadbetter. What a baby draw is, and how to use it. Pressure is not the same as weight, when in motion, and how to use it properly. How To Measure Club Head Speed In Golf?